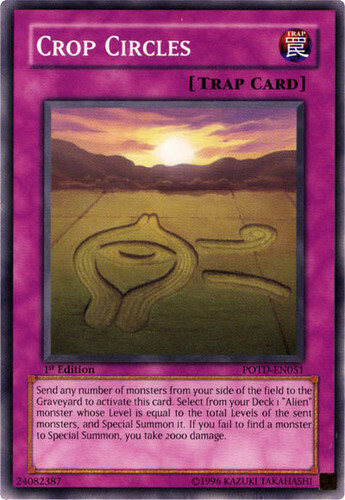 Send any number of monsters from your side of the field to the Graveyard to activate this card. Select from your Deck 1 "Alien" monster whose Level is equal to the total Levels of the sent monsters, and Special Summon it. If you fail to find a monster to Special Summon, you take 2000 damage.